Thanks to all who attended! See presentations below. This is a one-day conference to help launch the new network and shape adaptation action in Massachusetts. Thanks to everyone who is supporting this event! 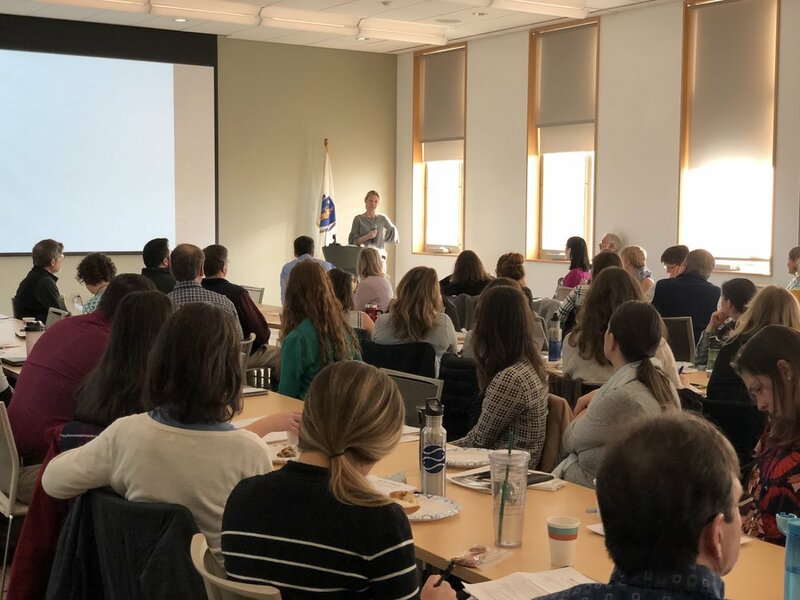 Especially to our sponsors below, planning work group: Stefanie Covino (Mass Audubon), Laura Hilberg (EcoAdapt), Bridget Macdonald (US Fish & Wildlife Service), Melissa Ocana (UMass Amherst), Rebecca Quinones (MA Div. of Fisheries & Wildlife), and Marissa Weiss (Harvard Forest), and our UMass team: Waverly Lau, Dugan Becker, Charlie Misenti, and Valerie Pasquarella.